Major diseases that stem from vitamin deficiencies are rare in the U.S., where food is abundant and rich in vital nutrients, explains David J. Park, DO, an AOA board-certified family physician in Henderson, Nev., during the American Osteopathic Association's (AOA) OMED 2013, the Osteopathic Medical Conference & Exposition taking place this week in Las Vegas. However, he notes there are millions of Americans at risk for vitamin deficiencies. Much of the published research on the effectiveness of vitamins is inconclusive, observes Dr. Park, who chairs the Primary Care Department at the Touro University Nevada College of Osteopathic Medicine in Henderson. But a large-scale, randomized, double-blind, placebo-controlled trial of more than 14,000 U.S. male physicians 50 years or older, which was published in the Journal of the American Medical Association in November 2012, suggests that taking a daily multivitamin may reduce the incidence of cancer in some men. For everyone else, he relates, it depends on a number of elements. "Should you be taking vitamins?" asks Dr. Park. "The answer is 'no' unless, however, you are one of millions of Americans who falls into certain groups of people at risk for vitamin deficiencies." Poor ability to absorb vitamin D from sunlight and other vitamins through ingestion, which is seen often in the elderly whose skin no longer synthesizes sunlight as well as it once did; who are homebound and cannot go outside often; who have gastrointestinal illnesses, such as Crohn's or inflammatory bowel disease; or who are on medications that block vitamin absorption. Malnutrition, which is more common in those who live in poverty; are addicted to alcohol; or are on restrictive diets, such as vegetarians or those on extremely low-calorie diets. Increased vitamin loss, which can occur in those who have chronic diarrhea or are on dialysis. Other groups at risk for vitamin deficiency, Dr. Park identifies, include those who are: pregnant; have had weight-loss surgery; and who regularly do not eat well-balanced meals. "There is no one, reliable list of great vitamin brands or companies," says Dr. Park. 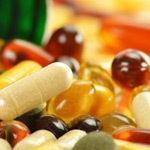 He points to the U.S. Food and Drug Administration (FDA), which regulates the dietary supplement industry, as the best resource for information about companies with decent track records for quality and safety. However, he explains, the scope of the FDA's regulations are relatively narrow. Manufacturers don't have to prove effectiveness and safety of products before they go to market because dietary supplements fall outside the regulatory category of prescription medications. The FDA does, however, require manufacturers of dietary supplements to report serious adverse events related to their products, including deaths; life-threatening experiences; hospitalizations; persistent or significant disability or incapacity; birth defects; or the need for medical intervention. Manufacturers also must place a telephone number or address on product labels so consumers can contact them easily. "Most importantly, individuals should talk to their physicians to see if vitamin supplementation is right for them," urges Dr. Park. "Through these discussions, physicians can help patients identify risk factors for vitamin deficiencies and look at which types of vitamins will be most helpful in meeting their individual needs." The American Osteopathic Association (AOA) proudly represents its professional family of more than 104,000 osteopathic physicians (DOs) and osteopathic medical students; promotes public health; encourages scientific research; serves as the primary certifying body for DOs; is the accrediting agency for osteopathic medical schools; and has federal authority to accredit hospitals and other health care facilities. More information on DOs/osteopathic medicine can be found at www.osteopathic.org.